You are at the end of your rope. Your teen have been acting out for months, maybe even years. It has been a constant struggle to manage their behavior and it only seems to be getting worst. No therapist has been able to stop the violent lashing out. No punishments have stopped the criminal behavior. No medication has curbed the depression and distressing self sabotage. It just seems to be spiraling more out of control by the day and you don’t know what to do anymore. This is a common story among parents of troubled teens. As the options dwindle further and further down, they begin to look at the more extreme option: boot camps. These are institutions that run a rigorous, military-like program that is very heavy on discipline and physical labor. They may also be called “Wilderness Programs”, a variation of boot camps that take teenagers out into the wilds of mountainous regions or woods and force them to act as a group to survive and work out their aggression through pure physical trial. Only one problem: they generally don’t work. 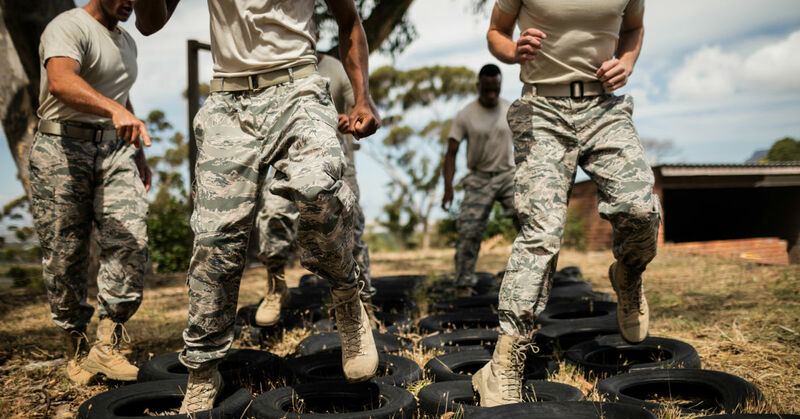 The argument for boot camp is usually that it teaches obedience, self reliance and teamwork. However, its primary tactic for gaining these responses is through negative reinforcement. The image of a drill sergeant screaming in the face of a cadet and insulting and berating them isn’t far off. That might be effective in dealing with a soldier and teaching them to handle extreme situations, but for a troubled teen it can have the opposite effect. Negative reinforcement is often counter productive in well adjusted young people. Those who are struggling with behavior issues, low self esteem, depression, mood disorders, conduct disorders and personality disorders can be even more sensitive to this method of punishment. Not only does it not have the desired effect, it can cause they to rebel further or to withdraw into themselves as a means of protection again the hurt. Positive reinforcement has been shown again and again to be more practical in application and provide better results. Trying to balance that out with the problems your child is having can be difficult, however. That is one reason that parents become overwhelmed and feel like nothing they do will ever work. Another reason that boot camps are not ideal for troubled teens is that it does nothing to address the core issues that are causing their behavior. Screaming in a child’s face won’t help get to the bottom of their outbursts. Making them run an obstacle course won’t figure out the reasons for their violent lashing out. It also provides no plan of treatment beyond, “Do what I say or face the consequences”. There is little actionable modification that can be taken out of that environment and back into their daily lives. As a result, your teen could return stronger physically, more angry and so potentially more violent. The additional physical strength could make them more dangerous than ever, with their emotional struggles completely unaddressed. If boot camps don’t work and what you have tried so far hasn’t worked, what other options are there? An incredibly popular option that is growing across the country is the therapeutic boarding school. One misconception is that these institutions are the same as residential treatment centers, which couldn’t be further from the truth. A treatment center (which you may have already tried in the past) is an inpatient program held within a hospital. Occasionally it may have a specific emphasis, such as drug treatment or anger management. Occasionally it may be a general hospital program that uses a combination of group therapy, medication and individual psychiatric care to treat mental illness. A therapeutic boarding school is different. It is an educational facility that has a two pronged approach to treatment. First, it provides tutors, specialized classes and a thorough program to help improve your teen’s academic performance. Second, it offers a full staff of highly trained medical and psychiatric personnel to help your teen deal with their emotional issues, substance abuse problems and increase mental and emotional wellness. Every day your teen will be helped to catch up on their school work and tutored to make sure they understand the material. There is an emphasis on real academic growth and progress so they are ready to conquer the world when they return to their regular school or prepare to enter college. Extracurriculars are also a part of this process, helping your teen discover and nourish passions that help them channel some of their emotions into a positive hobby or goal. In addition to this, your teen will be receiving one on one and group therapy. They will work to dive into themselves to discover the source of their rage and other emotions. Through sessions they will then learn to properly manage and control these emotions through effective coping strategies. If medication is needed there are trained and licensed professionals on staff to administer it. Families remain a part of this program through regular communication with both their child and the staff. You will be able to learn of their progress, what is being done in therapy and any changes that they suggest be made to their treatment plan. Parents are instrumental in the care and healing of their teen, even when not on location. This has been an exhausting process for both you and your teen and you may feel like it will never get better. But there is hope and it lies in therapeutic boarding schools, an alternative to damaging and ineffective boot camps. In these programs your teen can learn to control their turbulent emotions, isolate the source of their behavior and improve their academic performance. This opens the way to a better life and future, one they may have never thought they could have. Find out more about therapeutic boarding schools and other helpful programs at Liohona Academy.